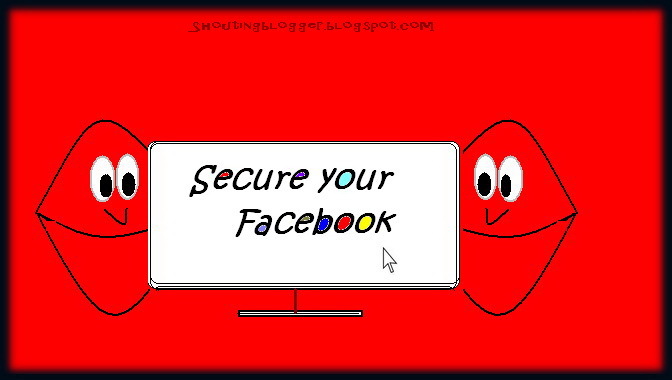 How To Secure Your Facebook Account Completely . Facebook has updates its security feature by Launching new security feature in 2013 to Improve Facebook user account protection against Hacker . Still there are so many rumors about Facebook all over the internet that there security is weakest in all social networking site . Let me clear this out . Its kinda right if you talk about old Facebook , because in old Facebook you don't need technical skills or Pro hacking tutorials to get someone facebook password because of weak Facebook script , i am taking about Facebook Security just after Few Year of Facebook development . Security Question plays very important role in retrieving back Facebook account ,even if email id registered to Facebook account is hacked and changed then also you will have an option to retrieve Facebook account By answering Security question . Also It does helps to to retrieve Facebook account when Facebook user losses His/Her password and Email id . This Security Question provide addition Facebook account retrieving option .So make sure to improve your Facebook account Retrieving backup by Activating Security questions . 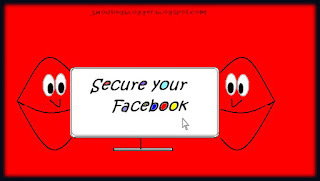 Although Facebook is using Secured connection now but in case you didn't see " https " in your browser while using Facebook account then you must activate your Secure browsing via Facebook Security Settings options .It will helps to build secured connection between Website and Client and protect your Facebook account from hackers . Make sure To activate Facebook safe Browsing Via Facebook security settings to ensure best Protection. Login Notifications helps you to gets notified when your Facebook account is accessed from a Unknown computer or mobile device that you haven't used before in past . Best thing about Login Notifications security feature is that you get Email or text message instantly as soon as your account logged to unknown Device which is never used in past , So you gets times to take necessary action against the Further damage by the hacker . There are Thousands of Non trusted Apps Spread all over the internet like mushroom for sake of improving Facebook Experience , But Some of the apps are being used as hacking tool to hack facebook accounts ,Actually Some of the apps are unwillingly have read and write permission , That is they have the permission to read content data From Facebook account as well as option to Write content in Facebook timeline without knowledge of the Facebook account holder .Which may results as blunders .. So its Better Authorize apps with utmost Importance . Because of the Apps Craze and hackers interest , Facebook has Took measure to add password feature to Apps by limiting apps access . Recognized Devices is kinda similar to Login Notifications security feature , In Recognized Device security features a Facebook User get notified when His/ her Account is being used from unregistered devices. This Feature helps to get informed when unauthorized user uses your account . So , Its Necessary to activate Recognized Devices security features by registering your device . Follow all the Faebook Security Settings Guide . Never share your login credential like login email id , password and phone number associated with your Facebook verification to any one . Verify your phone number for your Facebook account . Avoid using Non-trusted Apps and also clear or remove dead Facebook apps .